Archer fans, rejoice! There’s a new free app for your iPhone or (dare I say it) Android smartphone, chock full of tasty bits of Archerness. 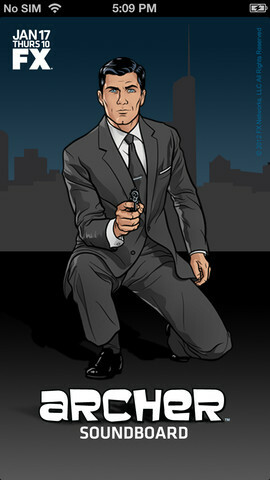 It’s got sound clips, video clips, and links to Archer content on various social media sites. Android users, you’re on your own to go look up the app. Search for “Archerisms” and you should be fine. Season 4 starts January 17th! Woo! This entry was posted on Friday, January 11th, 2013 at 9:37 am and is filed under Uncategorized. You can follow any responses to this entry through the RSS 2.0 feed. You can skip to the end and leave a response. Pinging is currently not allowed.